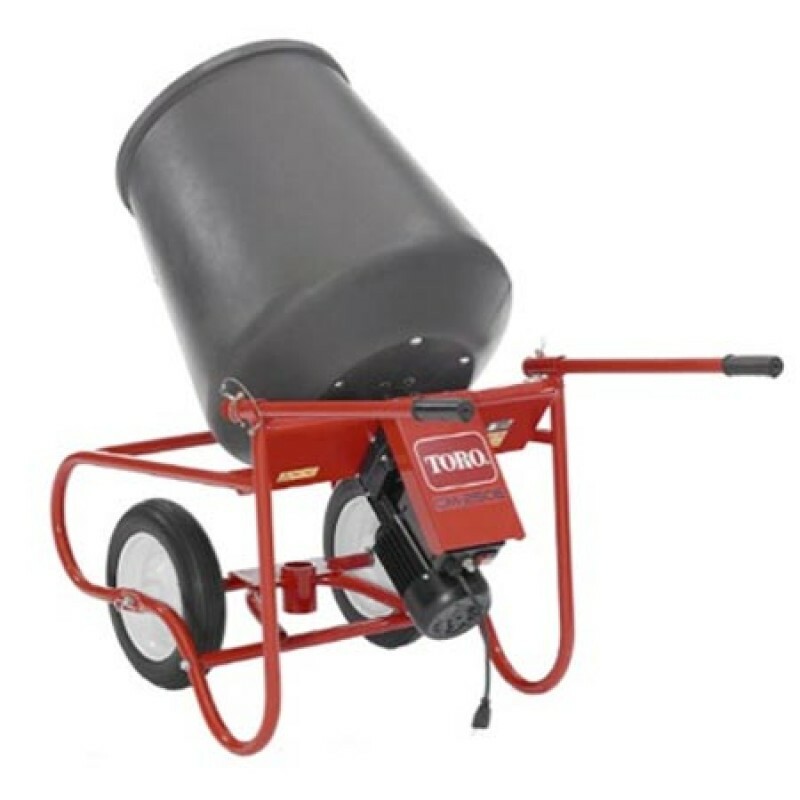 The 2 cu/ft Stone Electric Concrete Mixer 3/4HP CM-250E-PWB by Toro is perfect for a multitude of small and large mixing applications. Toro's line of Stone mixers are a versatile line of mixers available for every job and mixing requirement. Their heavy-duty frame for maximum durability and offer exclusive features that improve productivity and enhance operator control. Find many sizes and power options are available to handle just about any mixing need that you may have. The Stone CM-250E-PWB portable Concrete Mixer equipped with wide paddles for fast, complete mixing. Wheelbarrow designs make it perfect for small mixing jobs. Replaceable steel mixing blades for smooth easy mixing. Batch Output: 1 cu. ft. Drum Capacity: 2 cu. ft.